Solutions that hit pay dirt. Heavy equipment can bring with it a heavy burden when it comes to financing. Compounding this problem is the fact that right now, finance is becoming harder to secure due to a number of prevailing conditions, both locally and offshore. So it pays more than ever to utilise a specialist equipment finance broker that understands the mining industry. Perhaps you’re after a shuttle car, underground loader, vehicles, an all-terrain dump truck or the latest Long Wall Continuous Miner? We’ll take the hassle out of sourcing the most suitable finance. Fidelity Finance Group act as advocates who can represent your position to major financiers to secure funding on attractive terms and conditions. The more accurately and favourably we can portray your case, the better the facility. We prospect over a wider field. With more than 20 leading lenders at our disposal, we can tap into more institutions and spread your loans across various lenders. We recommend not putting all your loans with the one bank. As your business grows, banks may want you to secure loans against real estate, restricting your options in the future. Yet in 99% of cases, Fidelity Finance Group can secure the equipment loans against the mining equipment itself, without putting your personal property at risk. We’ll do some exploring of our own. A Fidelity Finance Group mining finance specialist will first visit your business, or your work-site, to better understand your unique operation. Whether you need a single machine or a complete equipment fleet replacement, we can determine which finance tools to employ, including rental, operating lease, chattel mortgage and other solutions. We’ll source a package that suits your current situation and cash flow, to help you get the equipment you need to expand. Fidelity Finance Group has over $350 million in loans written annually, giving us considerable clout to secure your mining equipment loan at preferential rates. We handle the whole process from application through to delivery. Fidelity Finance Group can also arrange Import/Trade finance (i.e. a Letter of Credit) as a part of the long term business finance as required. If required, we can facilitate Telegraphic Transfers secured by Escrow Finance Documents (a loan document which commits you to the term debt on the mining equipment). Fidelity Finance Group can provide the requisite Foreign Exchange Cover including any Currency Hedging for imported equipment. In the majority of cases your loan is secured against the equipment, without requiring real estate as security. We liaise with the supplier of your choice, order the invoice and prepare all the paperwork ready for your signature. Fidelity Finance Group can also arrange 'pre-approved' amounts for future acquisitions. 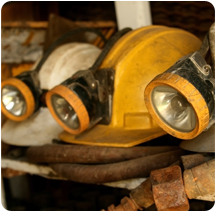 Complete a mining equipment finance application now, without obligation, click here. Or phone +61 (2) 9212 0799 to talk with one of our equipment finance experts.